Looking for screen-free activities for your kids and more quality time together? 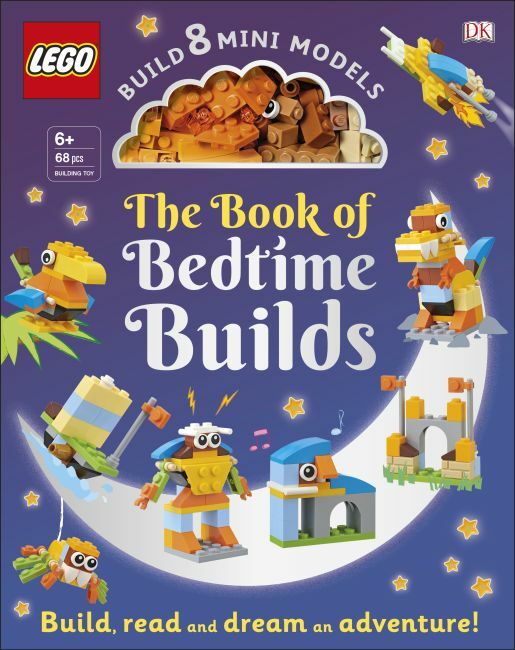 This innovative LEGO® bedtime book includes eight adventures to build, play, and read, and it comes with LEGO bricks and instructions to make eight exclusive mini LEGO models. The LEGO® Book of Bedtime Builds is perfect for creative, screen-free wind-down tim before bed. Choose and build your LEGO model. Then read the story together and decide what happens next. When it's time to sleep, the mini model and story will inspire exciting dreams. The next night, take apart the mini model and choose another adventure to build and read together. Convenient brick storage and packaging make for easy building at home or on the go. Includes easy-to-follow building instructions, bricks, and stories featuring a pirate ship, dinosaur, robot, bird, castle, elephant, spider, and spaceship.